Sunflowers are the perfect floral for summer and fall. 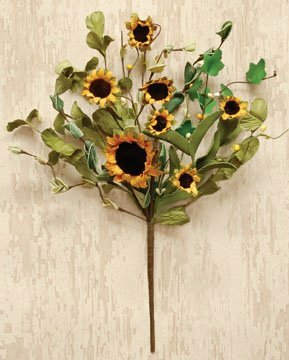 Our Country Sunflower Pick features artificial sunflowers in assorted sized with assorted leaves on a hand-wrapped stem. Add to your favorite baskets, buckets and more for a subtle natural touch. 12" high.